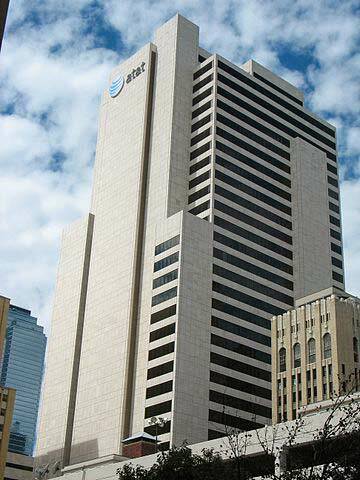 Many people have AT&T Inc. stock which they previously obtained because they were shareholders of Southwestern Bell or Pacific Telesis or Southern New England Tel or Ameritech or Bell South or AT&T Corp (old). Consequently, they need to find their cost basis and find historical stock price to calculate their cost or basis in it and to calculate their Capital Loss or Gain for income tax purposes. You can find very little data available on the internet concerning ATT Inc Stock History. We put together theses charts to help them. We researched the prices carefully. Use these at your own risk. We present Month by Month AT&T Inc Stock Prices from January 1984 through August 2011. In addition, we provide prices at month-end for each year referenced. We derived stock prices from archived issues of the NY Times, Standard and Poor’s Stock Price Record, Yahoo Finance historical quotes, and from various Shareholder Services pages available on the internet from surviving companies. We provide additional external sources at the bottom of this page as Helpful Links. The ref-sheet shows you the Date and amount of Dividends paid and the price of Southwestern Bell, SBC, and AT&T Inc stock and when the dividend was paid. The ref-sheet also shows you information on mergers, stock split, and spin-offs. We built the Ref-Sheet as a handy sheet to assist you when you are trying to find the effect of dividends on your cost basis calculations. 10/03/1994 Changed name from Southwestern Bell Corp to SBC Communications Inc.
12/15/1994 Merged in Associated Communications Corp whose shareholder received .36 share of SBC for each share of their company. 01/01/1997 Acquired Pacific Telesis Group. Shareholds of which received .73145 shares of SBC for each share of their company. 10/08/1999 Acquired Ameritech Corp (AIT). whose shareholders received 1.316 shares of SBC for each share of their company. 11/18/2005 SBC AT&T Merger. Each share of the is old AT&T Corp Stock was exchanged for .77942 shares of the new AT&T Inc. Basis of this lot should be tracked seperately going forward. 12/29/2006 Acquired BellSouth whose shareholders received 1.325 shares of AT&T for each share of their company. *For a visual chart of AT&T Inc. /Southwestern Bell/SBC corporate changes, visit AT&T Inc Chart.